Thumbs Up CSEP-4S is CNC machined from solid brass billet, and both cold shoes are integral parts of the complete assembly and cannot be removed – no screws, no joints and no glue ensure strength and longevity, and guarantee that your compositions will be accurate and repeatable every time. Thumbs Up CSEP-4S can be locked securely into place on your camera – which prevents it from moving when using external viewfinders, ensuring consistent, repeatable framing. 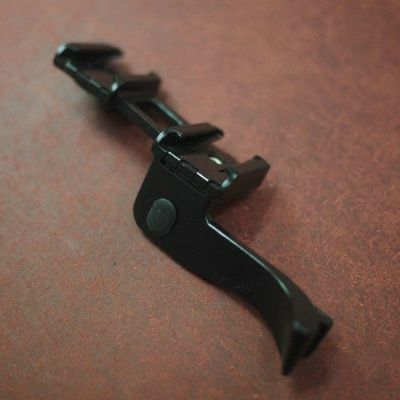 The locking mechanism is concealed beneath the leaf spring of the right-hand shoe, and is easily and quickly operated using the small Allen Hex wrench provided. The left-hand shoe has a slight offset, to provide clearance for viewfinder-window accessories, such as our E-Clypse EyeCups or Leica diopters. Thumbs Up CSEP-4S will fit the following Leica M models: M9, M8-2, M8, M7, M6, M6 TTL, M4, M3 and M2. Note: the cold shoe will not obscure the LCD on the top plate of the Leica M8 or M8-2.